Dr. Daniel Boatright has been selected by the Wabeno Area Players as the first Playwright –In-Residence in the groups history. He will be the playwright for all of 2019. Dr. Boatright will engage with the Players and community through teaching. He will hold master classes, workshops and will write and develop a new play in collaboration with the Players for the 2020 Season. He will be focusing on two writer workshops this summer. The first workshop will be in June and is for students in grades 7-12. The second workshop will be for adults and will be held in August. 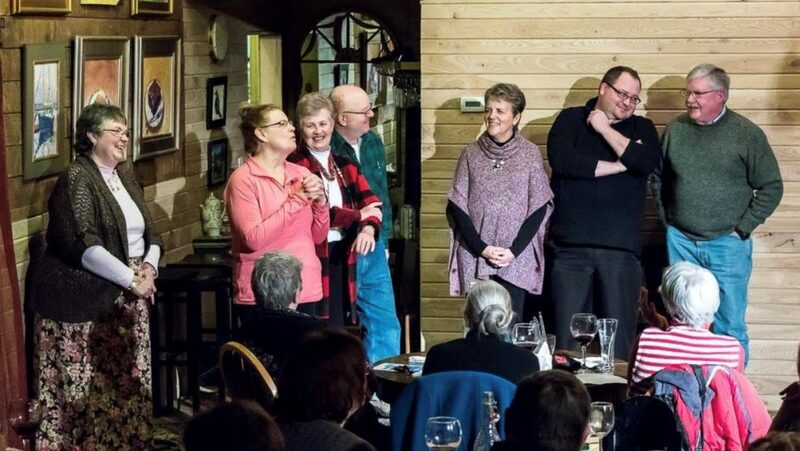 This program, made possible by the support of our patrons and Wabeno Area Players Members, recognizes playwrights whose work has had significant impact on the rural arts. 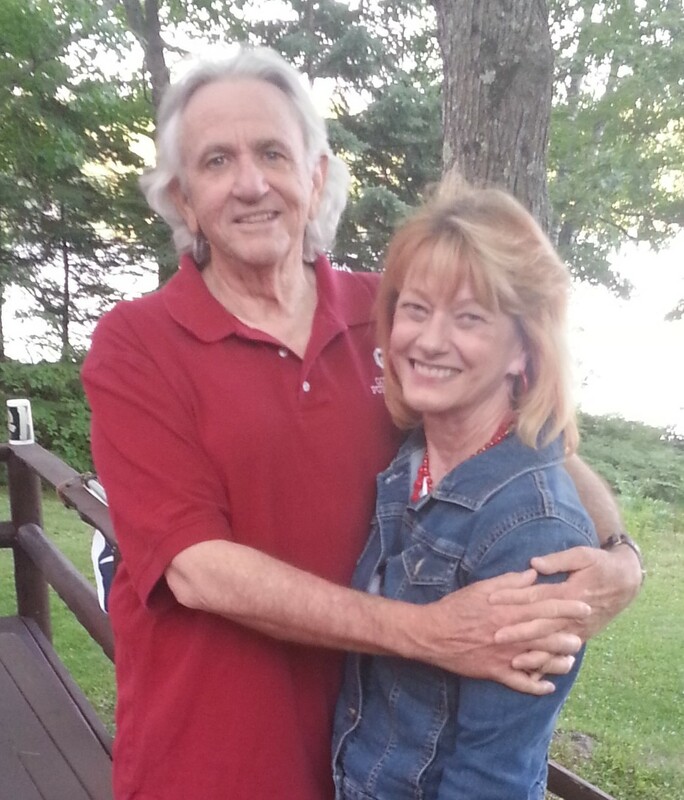 Dr. Boatright has written numerous plays and readers’ theater selections for the Players in the past. He has also written exclusively for The Big Easel Bistro and Gallery in Wabeno as well as numerous groups in Oklahoma. On Wednesday, December 5th, The Wabeno Area Players were honored with a $4000 Grant from the Green Bay Packer Foundation. It was a momentous occasion for the players and one the community can truly be proud of. The grant will be used for a New Fine Arts Series and Community Programing. 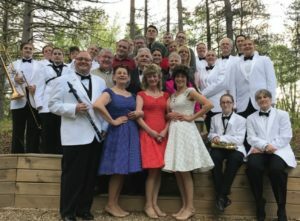 The Players will be adding two concerts in conjunction with the three mainstage productions in 2019. 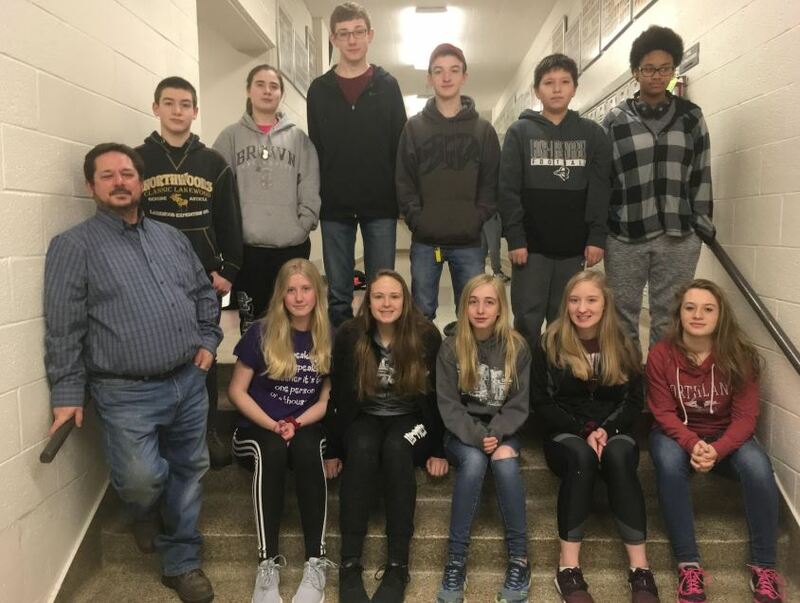 The performing groups will also be spending the day with area school students working with them on music, theater and dance. 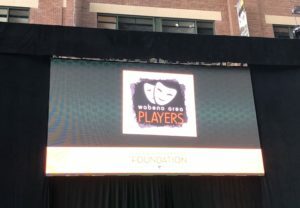 Included with the concert additions the players will be hosting several adult workshops throughout the year for adults. The workshops will range from beginning acting to short play performances. 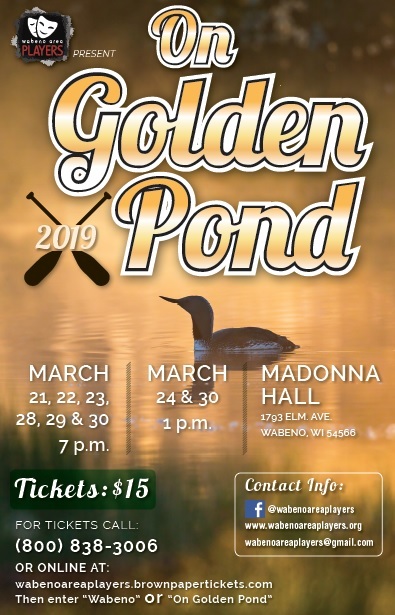 The three mainstage productions for 2019 are On Golden Pond, Working and Farce of Habit. 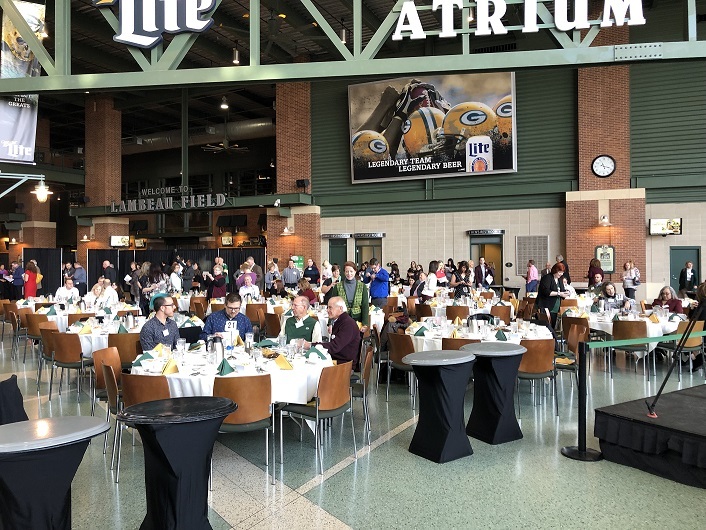 The Lambeau Field Atrium Luncheon. 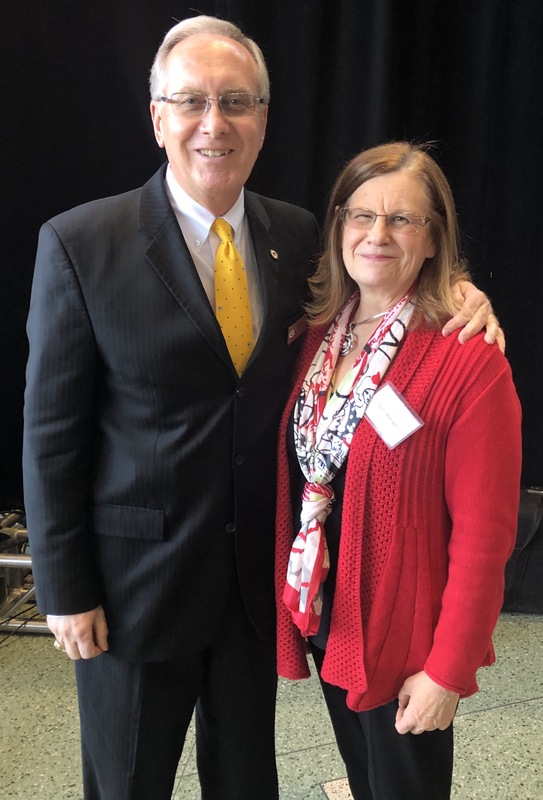 Green Bay Packer Foundation Trustee and Chairperson, Jerry Ganoni with Wabeno Area Players Vice-President, Carol Bartlein accepting the grant award. Wabeno Area Players Logo on the Big Screen in the Lambeau Field Atrium. 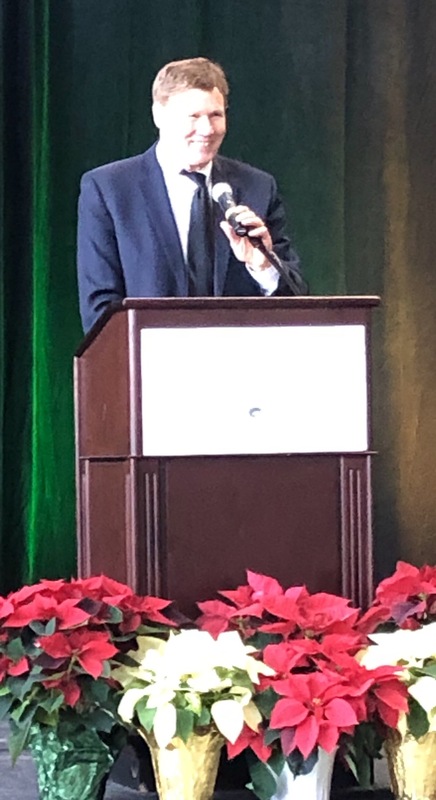 The Green Bay Packers President and CEO Mark Murphy welcoming all grant recipients at the luncheon. The Players are a completely community focused non-profit organization.